Life is pretty much impossible without a face moisturiser. For me that is. And I love a multitasking product; I like to keep my makeup intact, so many layers are a no-no. Caudalie answered all my prayers in the shape of the fantastic Polyphenol C15 Anti-wrinkle Protect SPF20 face moisturiser. 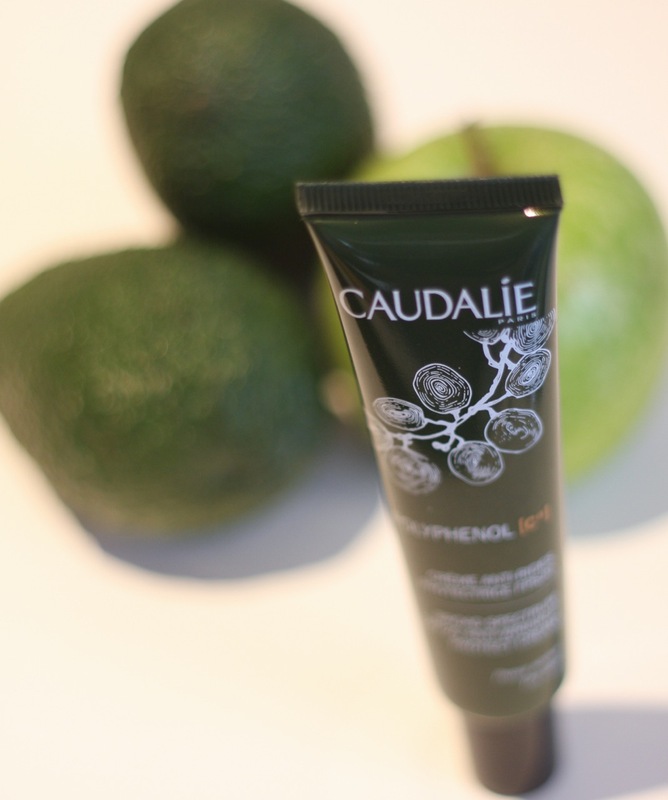 I quickly became a fan of Caudalie and went on a bit about their ethics, story, ingredients… so this time I’ll spare you – you can read my previous post. Focus is on this fabulous face moisturiser that comes cream rather rich, but at the same time light and quickly absorbed by the skin. It does feel like silk againt the face and the smell is deliciously fruity. This lovely face cream protects the skin from free radicals, thanks to the polyphenols, very powerful anti-oxydants and they can be found in the grape seeds. it also offer protection against sun damage as it contains a SPF 20. My skin just loves it – it feels like it drinks it. During the day, skin feels hydrated and now, after using it for a couple of weeks, it appears plumper and replenished. I apply every morning to face and neck, after my toner and before all the makeup; it sits extremely well under it. It is not tested on animals, non-comedogenic, dermatologist tested and free from parabens, phenoxyethanol, mineral oils, paraffin, synthetic artificial colorings, sodium laureth sulfate, phthalates and animal-derived raw materials. 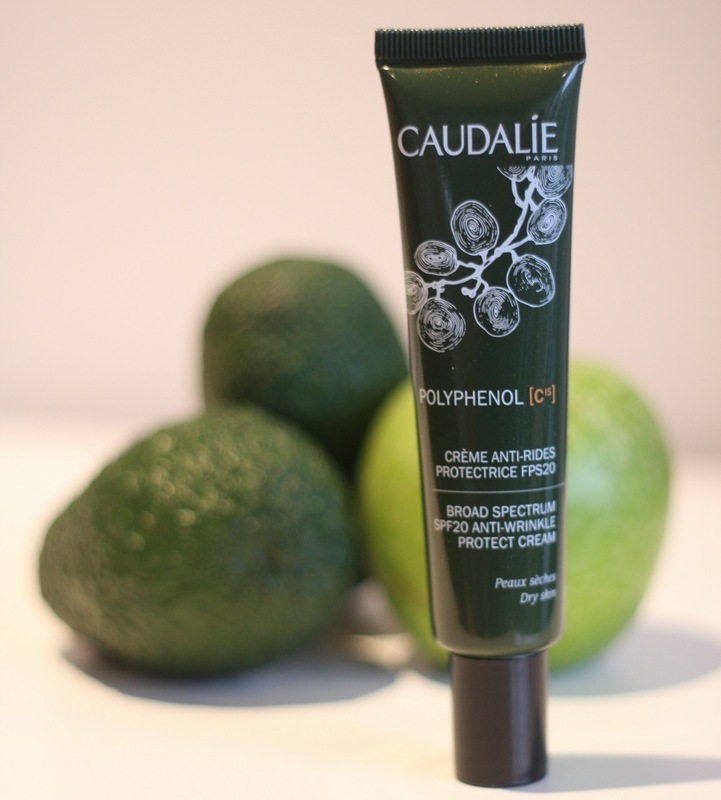 The Polyphenol C15 Anti-wrinkle Protect SPF20 face moisturiser costs £29 for 40ml and can be purchased from the Caudalie site, their boutique & spas (in London, in Covent Garden) and retailers nationwide.